The Shadowlight Artists Project is a group of professional artists with learning disabilities, supported by Film Oxford and funded by Arts Council of England. Their exhibition, Rising, is on 19 October – 10 November at Modern Art Oxfordand Old Fire Station Gallery. 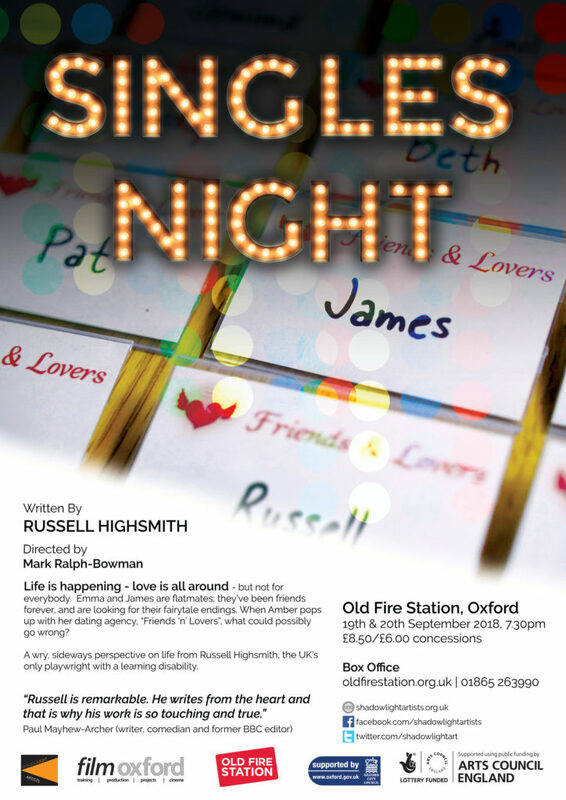 Singles Night will be performed by professional actors. All proceeds from this performance will go to support the project.